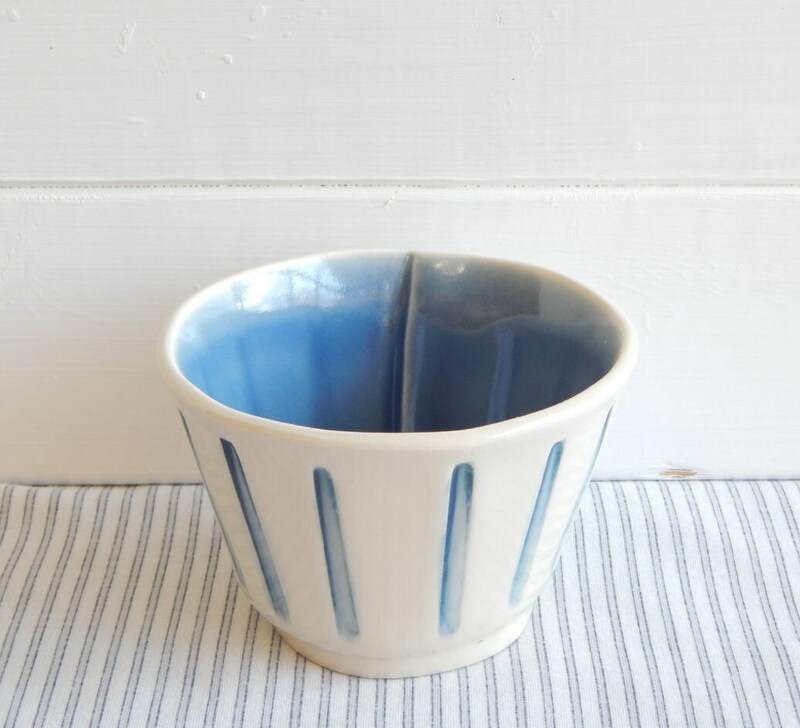 Coffee latte bowl, cream and blue, pottery bol. i had to do my own version of this classic bowl. 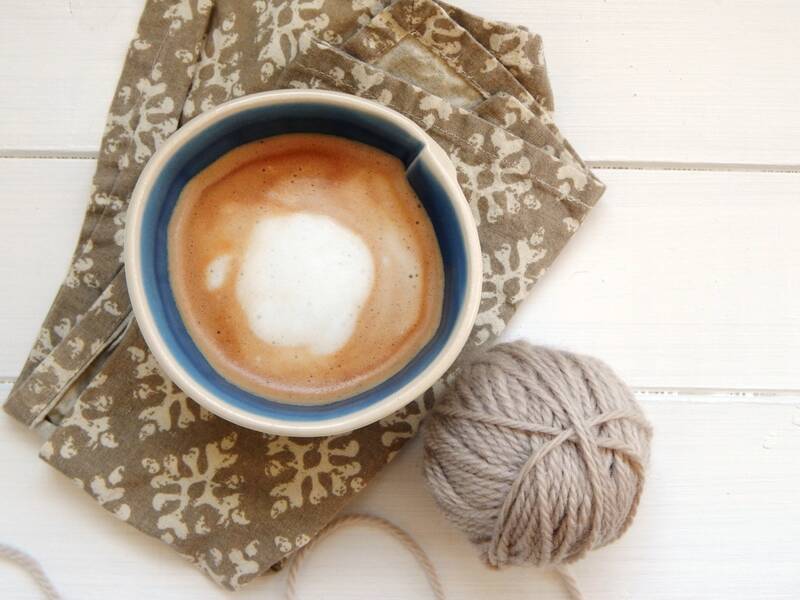 Coffee lovers won't begin the day without it.